Double cd digipac de motorhead. DOUBLE CD DIGIPAC DE CHICKENFOOT. "Mtv Hard Rock Live [CD] Simple Plan"
Simple Plan - Mtv Hard Rock Live - CD Album - Pop - Rock - 2006 - Nouveau vendeur professionnel. État : Neuf. Recorded Live at the Apollo Theatre,New York City,USA,July 20,2017. 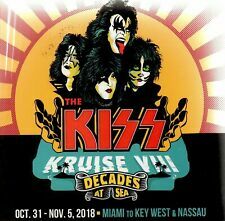 Very rare CD of KISS titled "KRUISE VIII " like new ! Attori: Aerosmith. Le consommateur supporte les coÃ»ts directs engendrÃ©s par le renvoi des biens. DROIT DE RÃ‰TRACTATION IMPORTANT: Si dans les 48 heures. montant dÃ©finitif. MTV Hard Rock Live. Title: MTV Hard Rock Live. Authors: Simple Plan. Binding: Audio CD. Condition: Used; Good. Weight: 100 Gms. SKU: 3174743. TitoloLive & RareArtistaKorn EtichettaEpicN. One10.My gift to you11.A.D.I.D.A.S.12. Earache my eye13.Proud. I Nostri DVD sono TUTTI regione 2. Regione 6: China. Regione 3: Taiwan, Korea, the Philippines, Indonesia, Hong Kong. Format: DVD. Release Date: 01/10/2013. Classic Artists. Title Live from the Hard Rock Label: EMI Records. Southern Pryde. Danny Gray - vocals. Rocky Diamond - lead guitar. Next To You. The Seductress. Let Those Puppies Breathe. Since I Left You. I´m In Love With My Baby. Die CD s sind gebraucht aber gut erhalten und laufen einwandfrei. Live At The Hard Rock Pt. 1 - Williams Brothers (2011, CD NEUF). Live At The Hard Rock - Part 1. 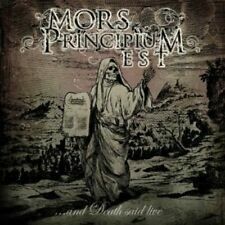 Release Date (Date de sortie): 27 Sep 2011 (27 septembre 2011). Format: CD. Living For the City. When the Saints Go Marching In. Simple Plan-MTV Hard rock live/CD/NEUF + dans son emballage d'- Sealed! Die CD ist NEU VERSCHWEISST-SEALED! Crazy (Acoustic Version). I'm Just A Kid. 2 Rock and Roll Woman 5:20. Probably the heaviest live set you are ever likely to hear! 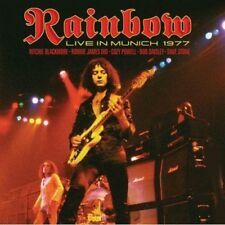 Recorded for Swiss radio in 1973, this powerhouse performance is taken direct from the master without any interference to the rawness, and indeed, the brutality of the recording. HACKENSACK - vivre le dur chemin - dur ROCK - nouveau. Manchon de vastes notes et photos copieux. Genre Rock. JE N’ACCEPTE PAS LES CHÈQUES DE BANQUES ÉTRANGÈRES, OMI ETC. 5 Fille du Nord 06:37. 11 Vers le haut de la dure 10:41. MTV Hard Rock Live. Title: MTV Hard Rock Live. Authors: Simple Plan. Condition: Good. Binding: Audio CD. Publish Date: 03/10/2005. Live At The Hard Rock Pt. 2 - Williams Brothers (2013, CD NEUF). Release Date (Date de sortie): 08 Oct 2013 (08 octobre 2013). Format: CD. TitoloLive Evil (Deluxe Edition)ArtistaBlack Sabbath EtichettaSanctuaryN. E5150Ascolta2.Neon KnightsAscolta3.N.I.B.Ascolta4.Children Of The SeaAscolta5.VoodooAscolta6.Black SabbathAscolta7.War PigsAscolta8.Iron ManAscoltaDisco 21. Artist: NIGHTINGALE. Title: ROCK HARD LIVE. Format: CD. Condition: New. BRAINS BAD. Disponibile dal 15/04/1996. Il prodotto deve essere restituito nella sua condizione originale senza nessuna modifica. Soddisfatti o Rimborsati. Otherwise, we reserve the right to re-list the item. Live at Wacken 2017 - 28 Years Louder Than Hell. Heaven Shall Burn - Voice of the Voiceless. The Wacken Family Choir - Heroes. Wacken Family Choir Mix - Heroes. Prong - Divide and Conquer. Various Hard Rock. Release Date (Date de sortie): 04 Oct 2005 (04 octobre 2005). Format: CD. I' D Do Anything. I'm Just A Kid. Artist Izhar Ashdot Title Live At The Hard Rock Cafe Release Date 1995-07-01 Label: EMI Records Number of Discs 1. GARY MOORE - LIVE AT MONSTERS OF ROCK CD NEU. Hier folgende CD / Here following CD Vendeur en ligne pour plus de 10 ans. Shapes of Things. Parisienne Walkways. Out in the Fields. Don't Believe a Word. Simple Plan : Mtv Hard Rock Live CD (2005)Title: Mtv Hard Rock Live Artist: Simple Plan Genre: Rock/Pop|Punk/New Wave Duration: 64.40 mins Format: CD / Album Type: CD No. of Discs: 1 disc(s) Studio / Label: Atlantic UK Release Date: 03 Oct 2005. Disponibile dal 11/06/2009. Il prodotto deve essere restituito nella sua condizione originale senza nessuna modifica. Soddisfatti o Rimborsati. Otherwise, we reserve the right to re-list the item. Erscheinungsdatum / Release date: 26.11.1993. 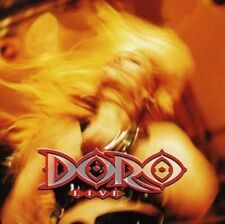 DORO - LIVE CD NEU. -faire Preise / fair prices. Alles ist gut 5:05. Hier folgende CD / Here following CD Let's Rock Forever 2:37. "Rock" (Rock / Rockpop). Erscheinungsdatum / Release date: 05.08.2008. GARY MOORE - LIVE AT MONSTERS OF ROCK CD NEU. -faire Preise / fair prices. 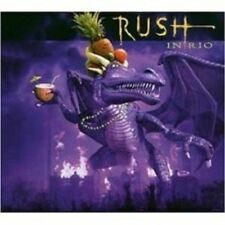 Hier folgende CD / Here following CD Guitar Intro. Out in the Fields. Shapes of Things. MTV Hard Rock Live. I'd Do Anything. I'm Just A Kid. Format: DVD. Release Date: 2013-07-01. Genre: Music. Condition: New. Sub Genre: Rock/Pop. Further Details.